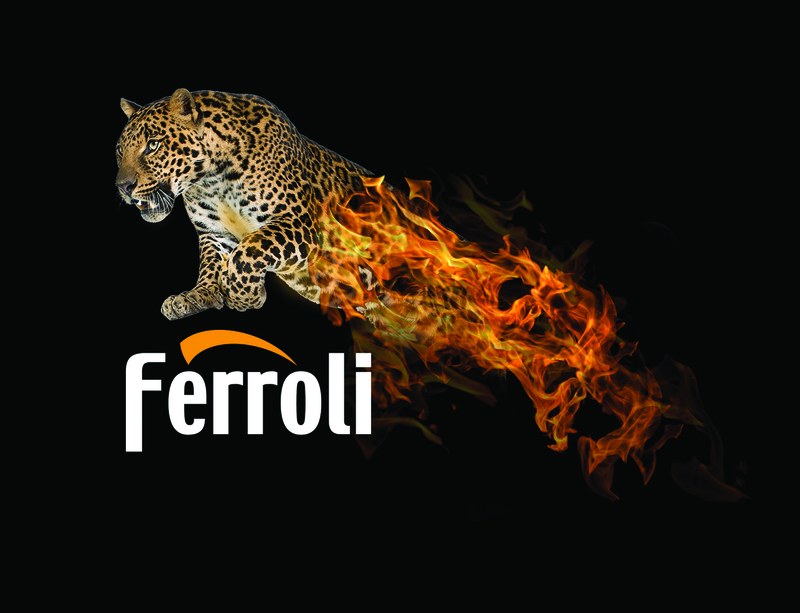 We are very pleased to announce the launch of Ferroli Caresafe, our new after sales support department, which will take care of everything following the installation of a Ferroli heating appliance for your customers. 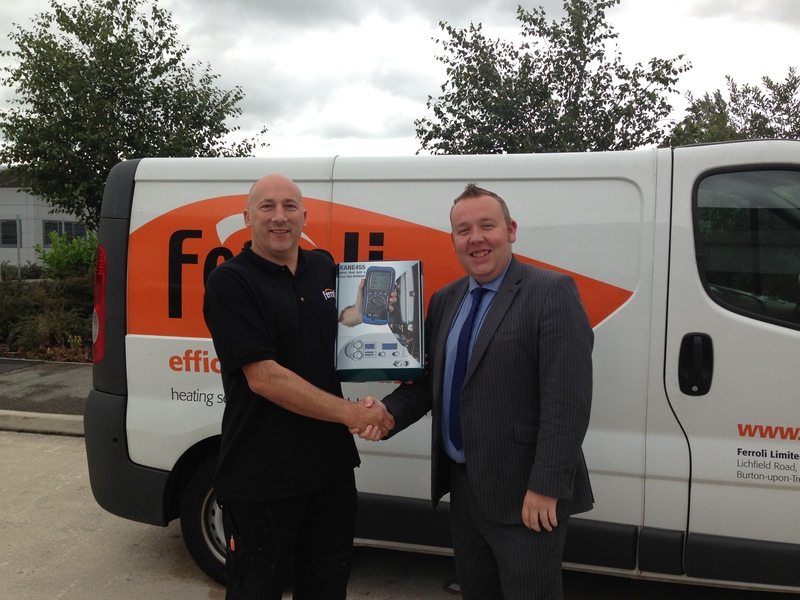 Scott Ferguson of Technical Home Services Ltd is the first service agent to complete the new Caresafe induction process and is pictured here receiving his certificate from Ferroli’s training supremo Dean Mallows. 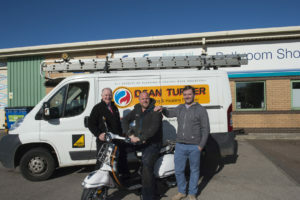 We’re going to be at Installer2019, May 6 & 7 – see you there! 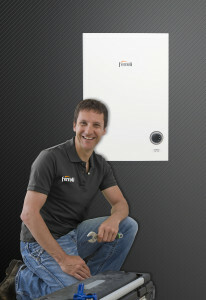 We’re very excited to be returning to Installer2019 at Coventry’s Ricoh Arena this year with a stand jam-packed with lots of newly launched products, including three new Bluehelix boilers from the award-winning Bluehelix boiler family, a range of electric and gas water heaters – which are already market leaders in several countries – and the LEB electric boiler. 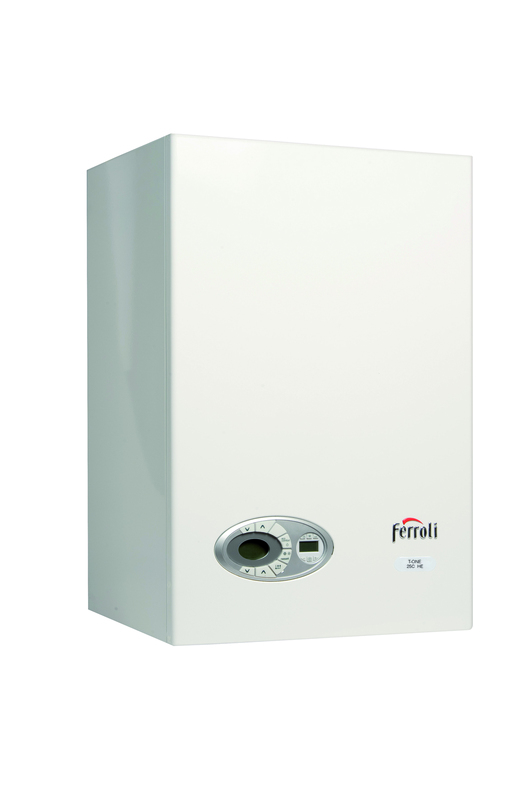 Installation review of the NEW Ferroli Bluehelix boiler – it’s 5 stars! 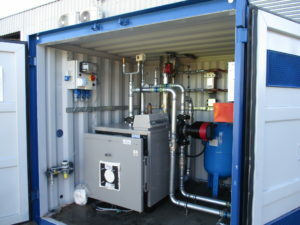 The new Ferroli Bluehelix boiler will be a ‘serious contender’ in the UK market – that’s the verdict of Jason Williams of Willheat, Ferroli’s agent for South Wales, following his installation of a Bluehelix 34C for customer in Chepstow. 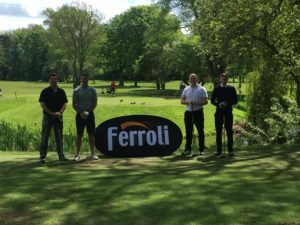 Visit us at Installer2019 and you could win a trip to Verona! 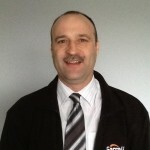 There are lots of reasons why you should visit our stand at Installer2019 on 6 & 7 May at Coventry’s Ricoh Arena, and here’s one of them! Church halls are notoriously draughty, but not this one at the Salvation Army in Cardiff! Thanks to a new Ferroli Modena HE 32kW combi boiler, the hall’s 16 radiators are efficiently keeping the room nice and toasty. 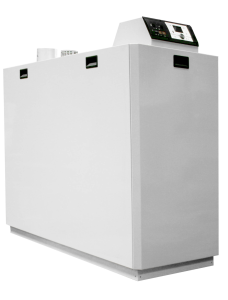 Only the most reliable boilers come with a 10 year warranty, right? Right! 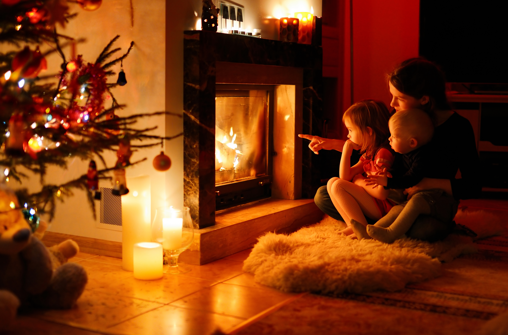 That’s why we’re offering a free upgrade from 5 to 10 years on our fantastic Modena HE boiler. 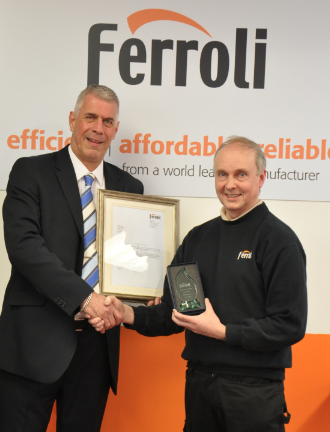 On Tuesday 31st July we bade a final farewell to Ferroli UK’s longest serving employee Chief Technical Officer Rob Steeley as he finally put down his tools after 30 years of dedicated service to the company. Here’s a sizzling hot offer for the month of August! 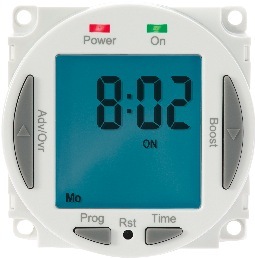 Every Modena boiler you install and register via Installersmate that includes a Ferroli RF Smart Control will receive a FREE warranty upgrade from 5 to 10 years! 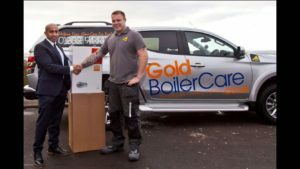 Trying something new is key to developing and improving your business, which is exactly what gas engineer John O’Reilly did when he was told about our latest free warranty upgrade promotion on the superb Modena HE boiler. 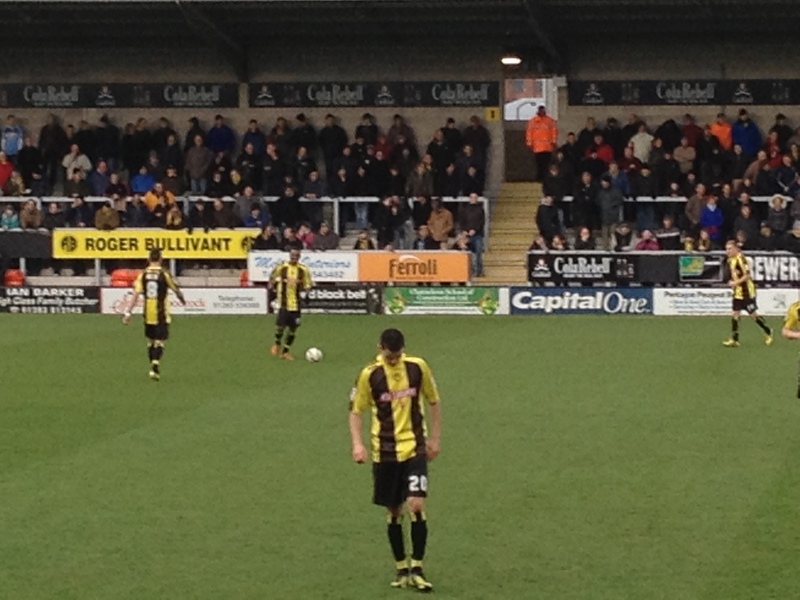 We can’t guarantee a summer of World Cup goals but we can give Installersmate members a top scoring FREE 10 year warranty upgrade on the Modena boilers, with absolutely no penalties! All you need to do to secure this fantastic offer for your customers is register your Modena boiler installations via Installersmate between 15th June and 31st July. 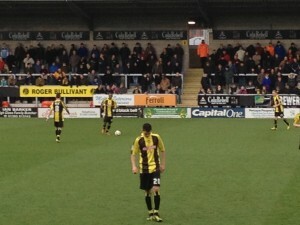 Back of the net, that’s it! 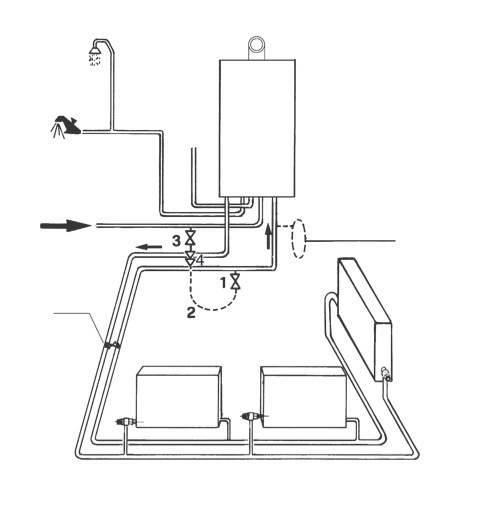 From April 6th 2018, changes to Part L of the Building Regulations have set new minimum standards for the installation of all gas and oil boiler installations in existing buildings in England. 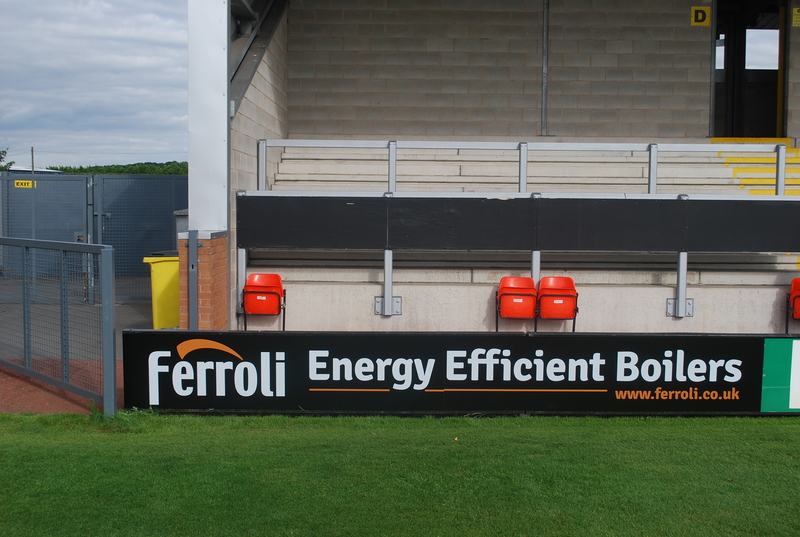 Holland & Barrett in Burton-upon-Trent is feeling the benefits of four new Ferroli Modena HE 32kW combi boilers in place of an old commercial atmospheric boiler that was draining energy. 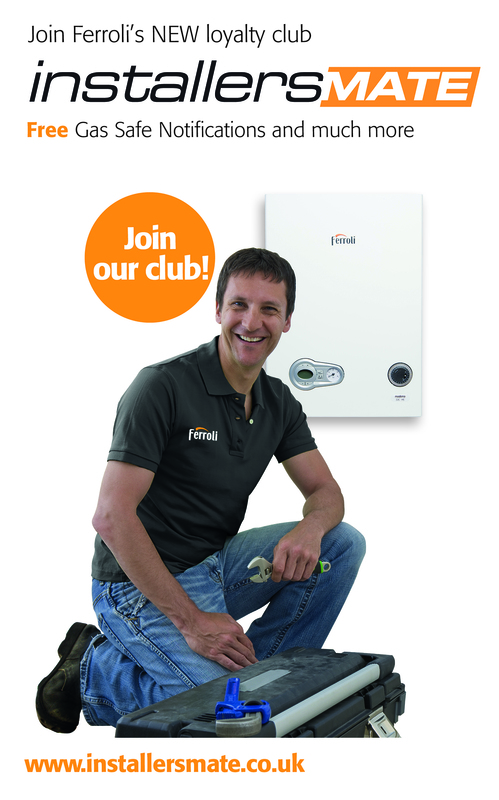 Being an Installersmate member really does deliver valuable benefits that non-members can’t enjoy. 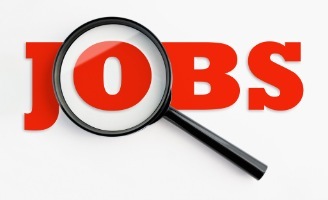 But as any Gas Safe registered engineer can join Installersmate, everyone can enjoy the benefits! 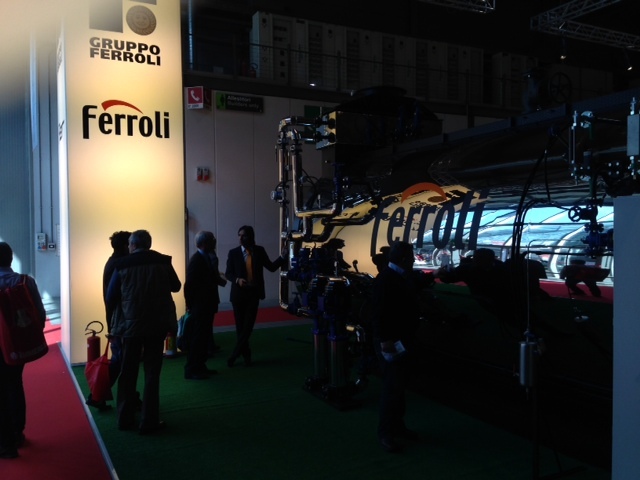 We are very proud to present the new Ferroli Group corporate video, filmed at our Headquarters in Verona, Italy, and our manufacturing plants in Italy, Spain and China. 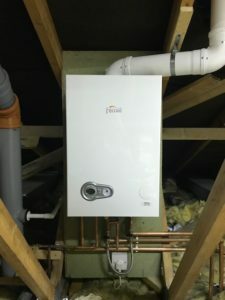 Pictured here is John Hulston of Gaswize Heating & Plumbing from Southport installing his TENTH Ferroli Modena HE boiler this month! 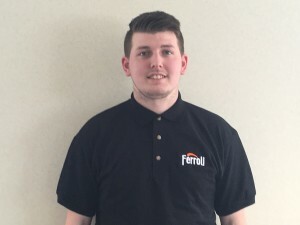 Aaron Drayton of Poole-based heating company Gold BoilerCare is yet another Gas Safe engineer who has switched his allegiance to the Ferroli Modena boiler from another boiler brand. 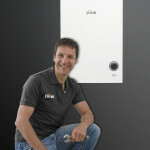 Reality check – what makes a boiler a best buy? 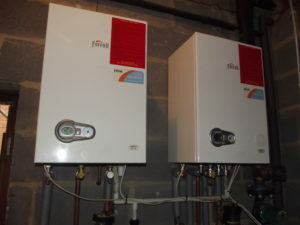 The Salvation Army in South Wales has put its faith in the Ferroli Modena HE boiler once again with a fifth install, this time at the South & Mid Wales Divisional Headquarters in Cardiff – and saved a considerable amount of money in the process. 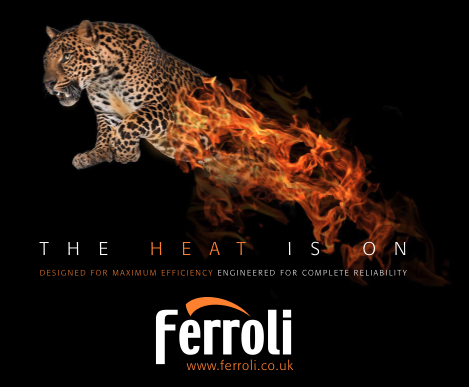 Christmas has come early here at Ferroli and we’re giving you something that will last a lot longer than most gifts you’ll be receiving this year. 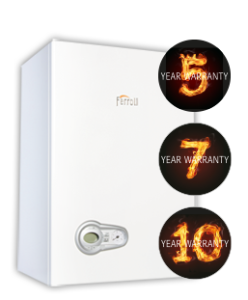 Our very popular FREE warranty upgrade offer for the Modena and i Boiler has been extended until 31st December, so that means an extra two or three years warranty for your customers, absolutely free! 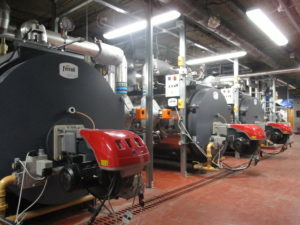 Our Modena boiler beats a commercial ‘Goliath’ to win the job! 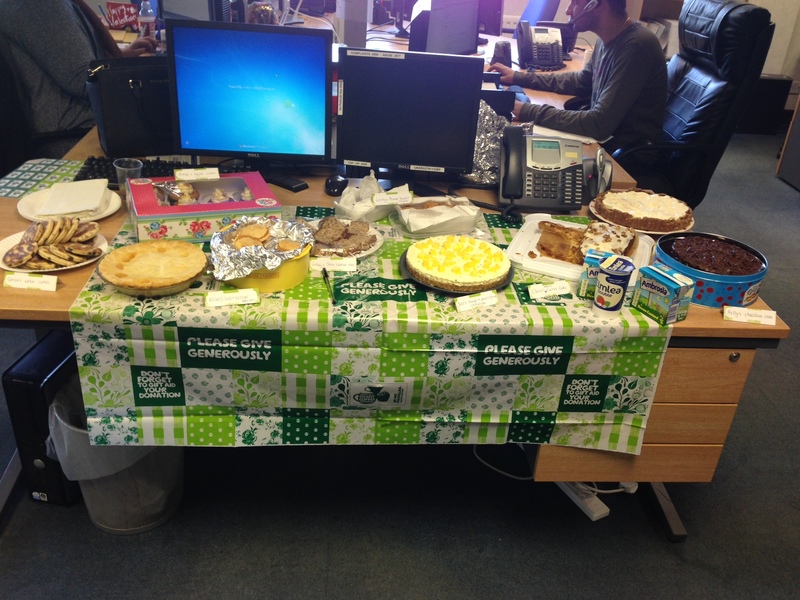 We’re always giving away something for nothing at Installersmate! 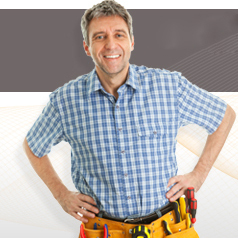 If you’re a member of our loyalty club Installersmate you can access valuable offers and rewards that either help your business or simply provide you with a treat for yourself. Ferroli BlueHelix (Modena) wins more Best Boiler awards! The BlueHelix Tech 25C, the European name for the Modena HE boiler, has won yet more awards for being Best Boiler and Best Purchase, this time from Italian consumer magazine AltroConsumo. 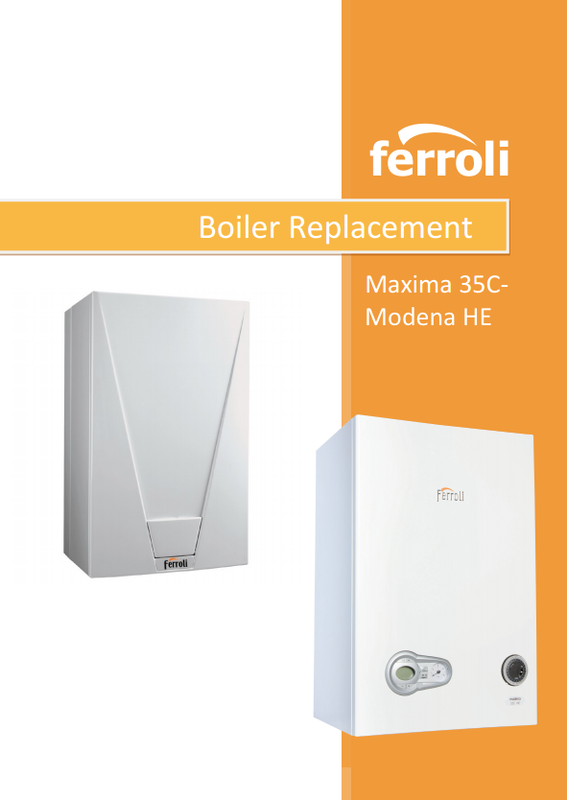 The European version of the Ferroli Modena HE boiler has been awarded Best Boiler on the market by a Spanish consumer magazine survey. 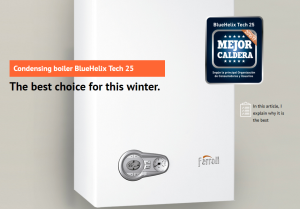 The BlueHelix Tech 25C, which is the same design and construction as the Ferroli’s UK model the Modena HE, came out top in a survey of eight major boiler brands published in October 2016 by Spanish consumer magazine Compra Maestra. 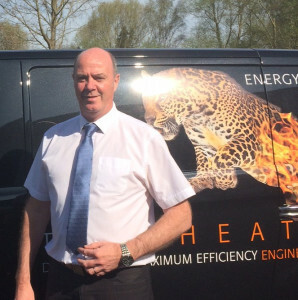 With the heating season about to fire up once again our Divisional Sales Managers are out on the road and up to full speed with a programme of trade events at merchants all over the country. 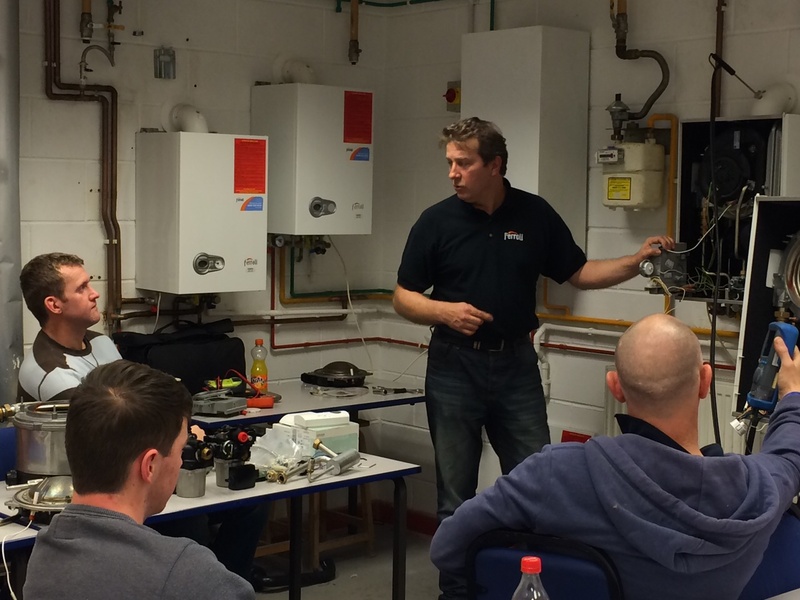 If you’re based in the south east and would like to find out more about our fabulous energy efficient, reliable, high performance domestic boilers, check out the list of dates and venues below. 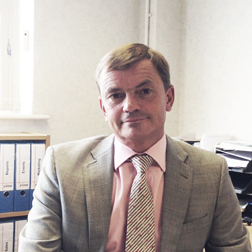 We’re very pleased to introduce you to the four members of our Domestic Sales Team who cover every corner of the UK and everywhere in between! 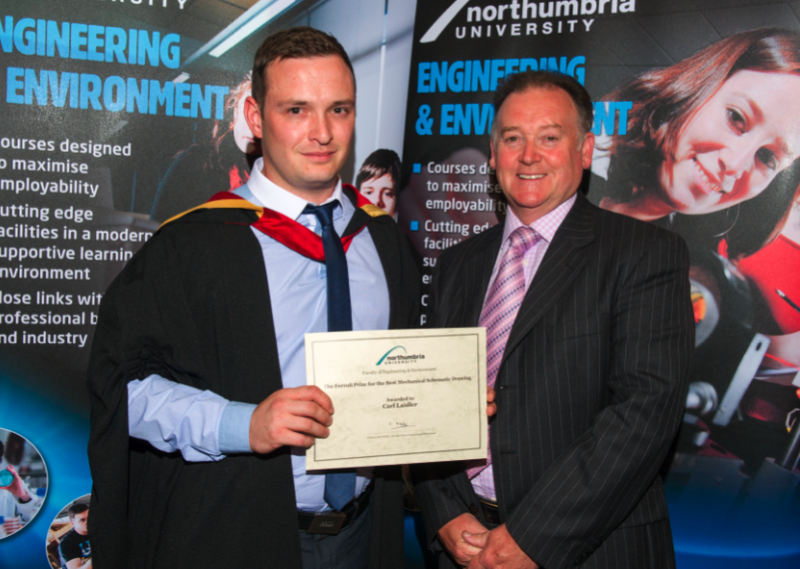 Our Apprentice – you’re hired! 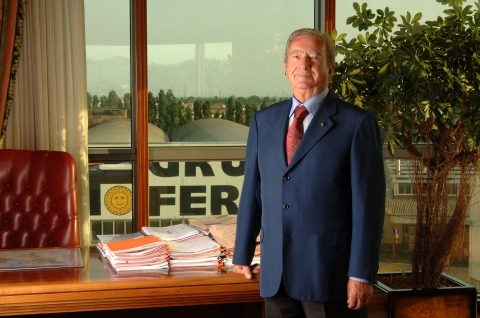 Ferroli is very pleased to announce that the final negotiations of the company’s restructure are due to be completed at the end of this year and that boiler production is back to full strength. 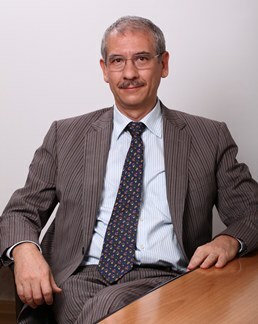 The new investors are Oxy Capital Italia, based in Milan, and UK-based company Attestor Capital. The great thing about a loyalty club is that it doesn’t cost anything to join and it makes your life easier – and who doesn’t want that? 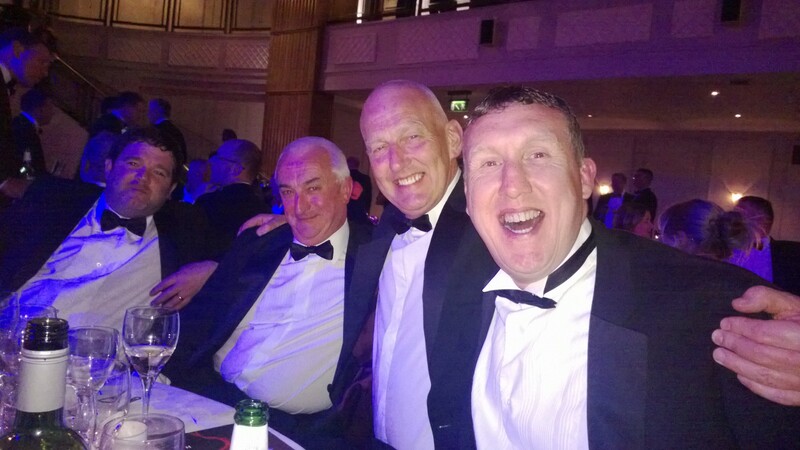 Since we launched Installersmate in November 2014 we’ve not only seen a steady stream of installers signing up but we’ve been getting great feedback from them about what it is they like so much about it. 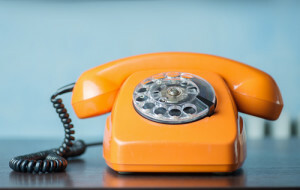 Time is money so the fact that Installersmate is so easy and straightforward to use is a great bonus on a busy day. 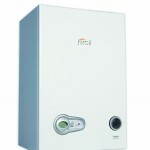 Making a Gas Safe notification and registering the warranty after the installation of a boiler are vital actions that must be taken and the fact that Installersmate allows both to be done in just a few clicks means installers are saving time, saving money -because Installersmate picks up the £2.20 Gas Safe Register fee – and getting immediate peace of mind that their obligations to Gas Safe and the customer have been fulfilled. Read more. 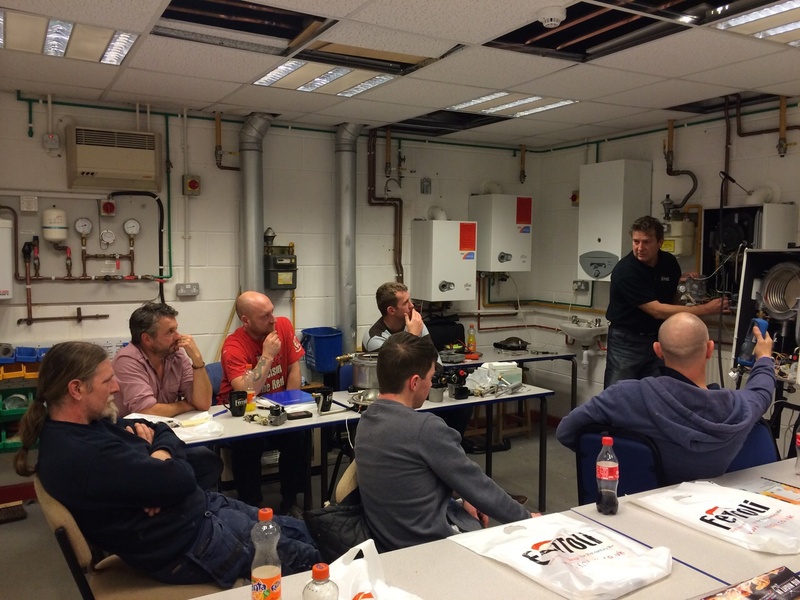 At Ferroli we take training very seriously – no matter how well-built the boiler, it can only sustain optimum performance if it’s been correctly installed and maintained. 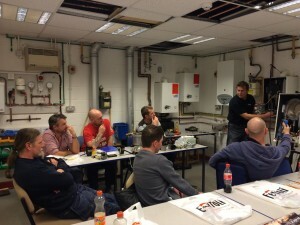 That’s why we are continually expanding our training centres across the UK so that our installers have the knowledge and confidence needed to fit Ferroli boilers for their customers. Read more. 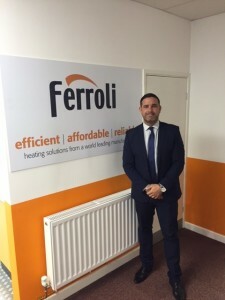 Peter Taylor has been appointed Field Operations Manager by international boiler and heating appliance manufacturer Ferroli. 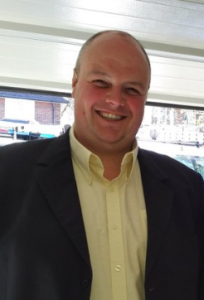 Peter joins Ferroli after 12 years with boiler manufacturer Vaillant where he held a number of senior roles in product support and development. Read more. 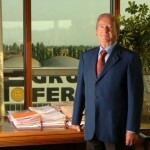 As a family-owned company, it is with great sadness that we announce the death of Dante Ferroli, the President and founder of Ferroli Group. 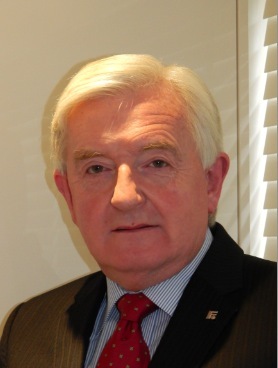 He died aged 85 years on Monday 13th April. Read more. 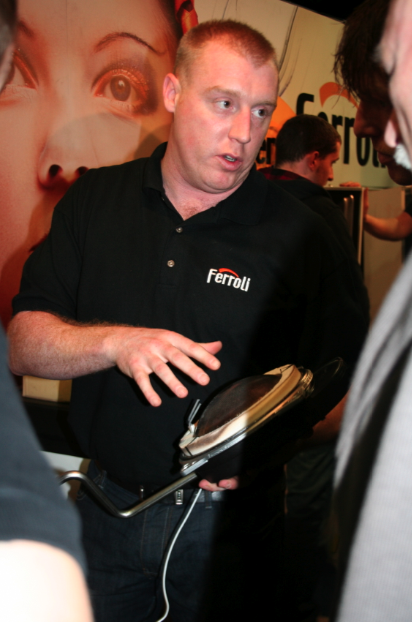 The Ferroli T-One boiler made an appearance on a CNBC TV news report on April 10th about the latest wearable technology being introduced by a number of British companies. Read more. 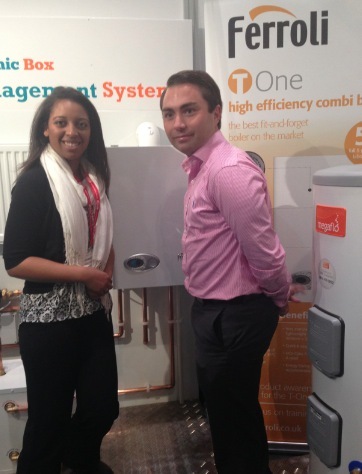 We’re going to be at PHEX Chelsea – come and see us! 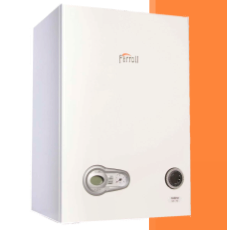 The latest addition to Ferroli’s Modena HE range of high efficiency domestic boilers delivers a mighty 38kW output whilst retaining the enviable position of being the smallest and lightest boiler in its class. Read More. 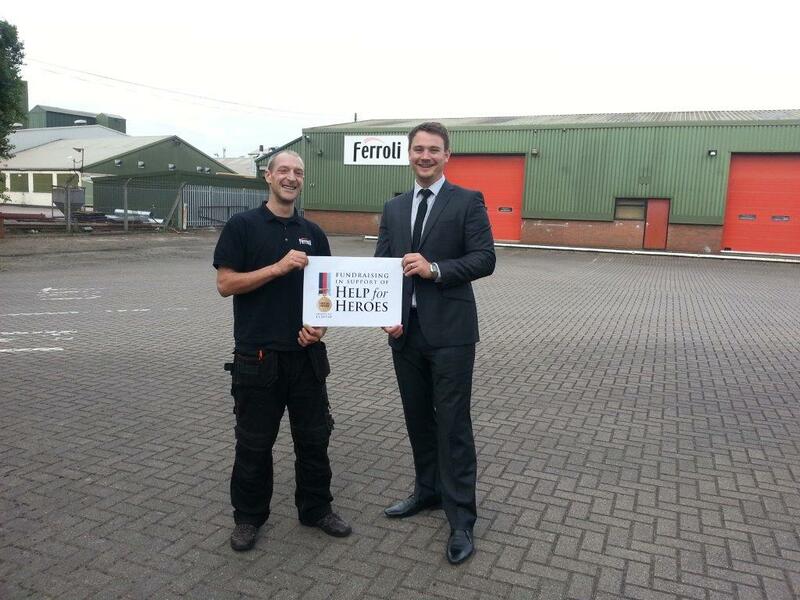 We are proud to be supporting Gas Safety Week 2014, taking place 15th – 21st September. Read More. 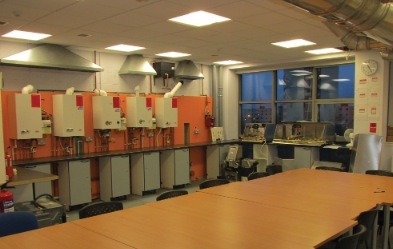 Identifying the most suitable appliance from our extensive range of commercial and industrial boilers just got really easy. Read More. 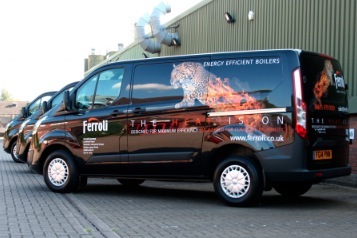 Keep an eye out on the roads for Ferroli’s newly branded engineers’ vans which have been transformed with our stunning leaping leopard & flames imagery. Read More. 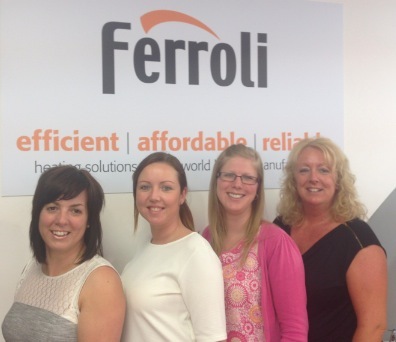 On Saturday 21st June, the Ferroli Fancies – aka Karon, Kayleigh, Helen and Kelly – will be taking part in the 10 miles Pink Ribbon Walk at Chatsworth, Derbyshire, to raise money for the Breast Cancer Care charity. Read More. 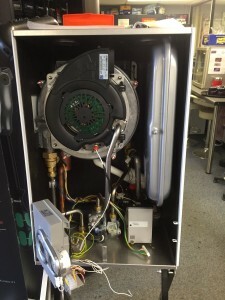 To get the absolute best out of any boiler it must be installed correctly and regularly maintained. Read More. 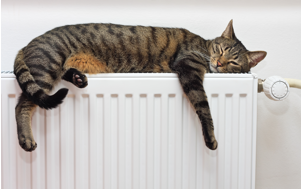 Is this winter the one when you realise you can’t put off buying a new boiler any longer? 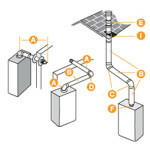 Do you know that it’s guzzling gas unnecessarily and may well let you down completely soon? 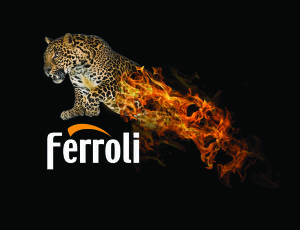 We’re very excited about our new system that allows our customers to book a Ferroli engineer online. 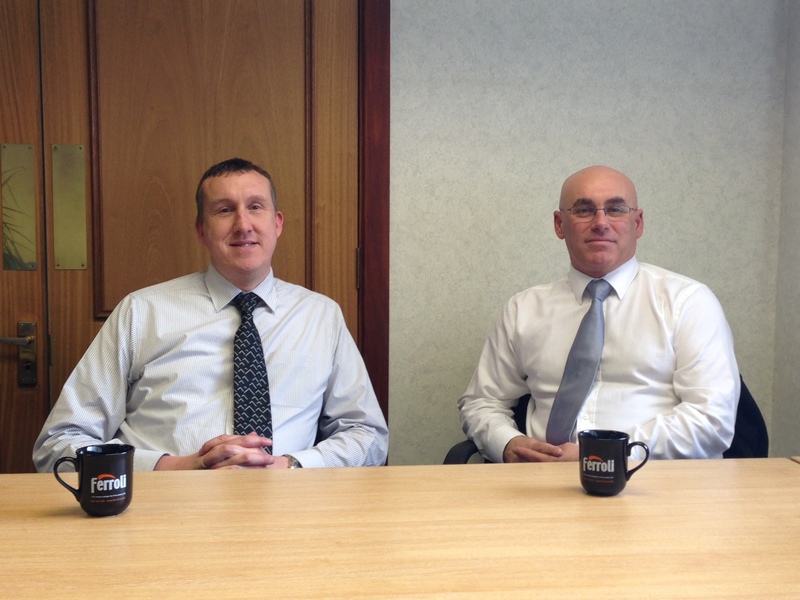 As the reputation of the Ferroli Modena HE boiler range continues to spread, the domestic sales force continues to expand and we are very pleased to welcome three new Area Sales Managers to the team. Read More. Boiler and heating appliance manufacturer Ferroli has appointed Craig Worth and Paul Megginson as Divisional Sales Managers. Read More. Martin Westbrook of Westbrook Gas Services Ltd, from Banstead in Surrey, looks pretty pleased with his new iPad! 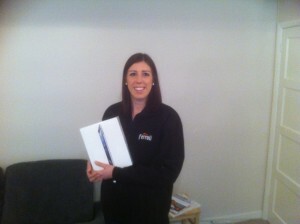 Martin was one of the lucky winners of the two iPads we offered as prizes in the HPM magazine annual Christmas Competition. 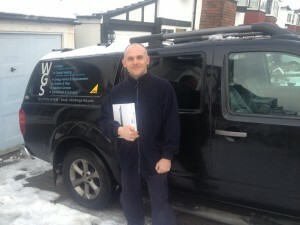 Mr M Harrison of Complete Plumbing Solutions in West Wickham, Kent, was our other winner. 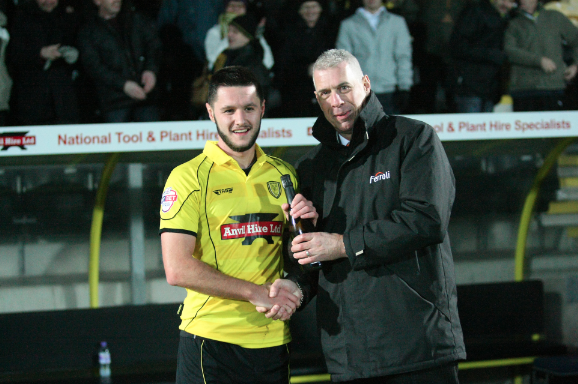 Congrats to both of them from Ferroli and Modena HE boilers! 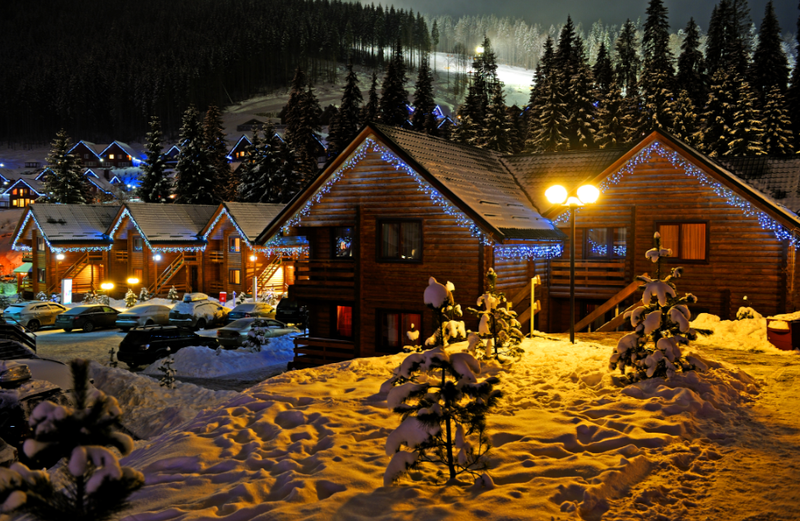 Congratulations to the winners of our competition from the November issue of HPM magazine. Graham Worfolk of Temple Gas, Leeds, and Colin Hipkins of Mastercare Ltd, Willenhall, have both won a fantastic Ferrari Driving Experience. 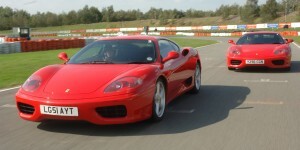 We look forward to seeing the photos of them tearing up the tarmac! 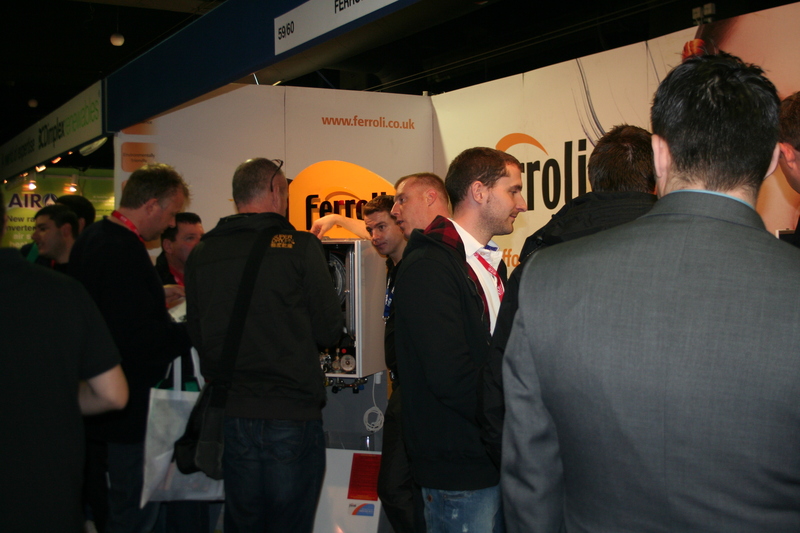 Back of the net for Ferroli at PHEX Chelsea! 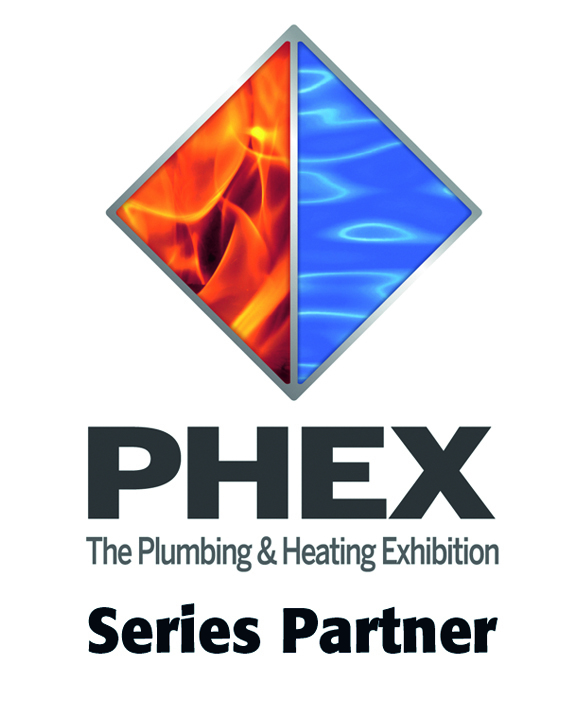 Ferroli is proud to be a Series Partner of PHEX, the leading series of exhibitions for the UK domestic and light commercial plumbing and heating market. Following a highly successful show at Wembley earlier this year, we’ll be at Manchester (10 & 11 October) and Chelsea (14 & 15 November). 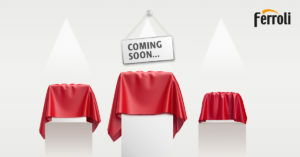 There will be another chance to see our demonstration of how the impressive new Modena HE boiler is put together and comes apart for exceptionally easy maintenance, so make sure you come along to Product Demo Stage 2 at 12.15pm on Day 1 of both shows. 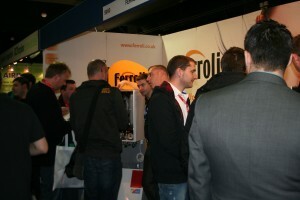 You can see a video of the Wembley Product Demo below. 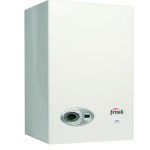 We’re also giving away a Modena 25c boiler at each show in the big PHEX Prize Giveaway so make sure you pick up your entry card when you arrive and visit our stall to find the answer to the question.